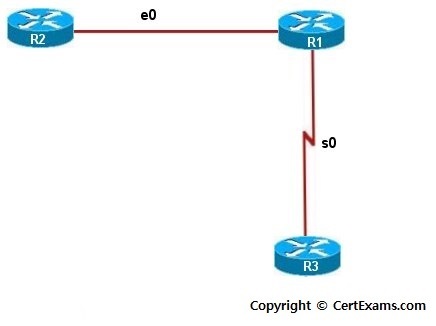 Description : This lab exercise verifies Extended Access lists that are set up in the previous lab to ensure that they have been set up and configured correctly. Explanation : The packet starts at R2, travels through R1, and reaches R3. Once it arrives at R3, it is repackaged and sent back to R1. When R3 repackages the packet, the packet’s source IP address becomes the destination IP address, and the destination IP address becomes the source IP address. When the packet encounters the access list on R1’s serial 0 interface, it is blocked because the packet’s source IP address is R3’s serial 0 address.